Leland told Coop to find Laura. When coop started crying, he found Laura on Sonny Jim's face. I believe he's going to keep finding Laura in other places that will lead him to where he needs to be. I don't have explicit proof or anything, but I am confident that Sonny Jim's facial expression in that scene is deliberately reminiscent of Laura and we all know how David loves manipulating facial expressions. Let me know if I'm crazy or if you see something here as well! I don't think that "reverse blink" is what people think it is. 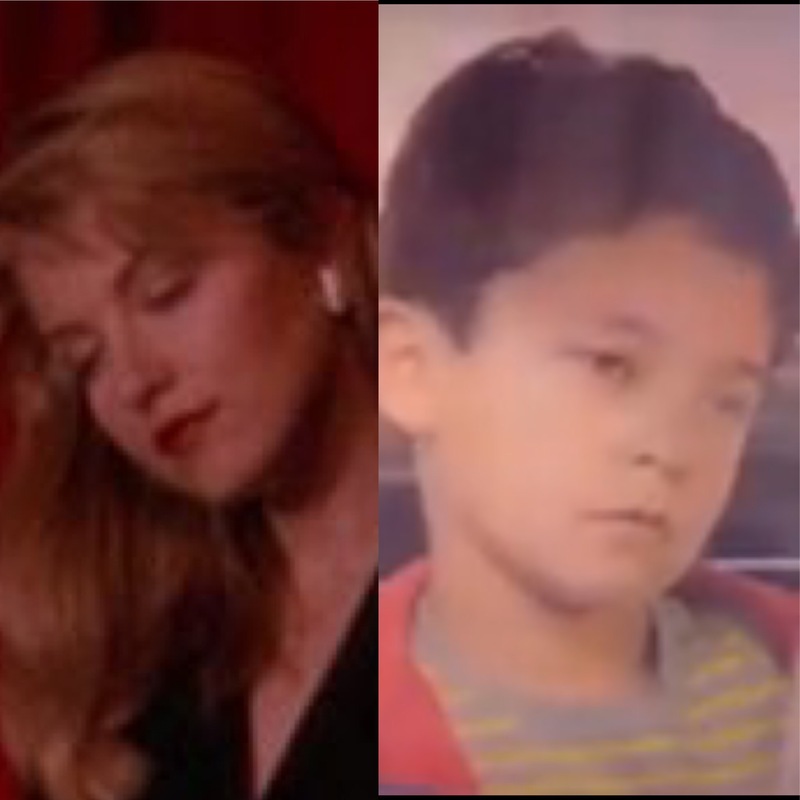 When I saw Sonny Jim's face, I couldn't think of anything but Laura and then Cooper started crying and we got some Badalamenti Laura-esque music. I'm honestly baffled that I'm the only one mentioning Laura in relation to this scene. I feel you may be overthinking it, but it's a beautiful theory nonetheless. You actually could be on to something. If you notice, Sonny Jim blinks backwards. "Through the darkness of future's past, the magician longs to see." Could it be Laura looking through Sonny Jim and Coop's remembering something of her sadness when he sees this? I'm so glad someone else noticed this! More than just the photo you posted, Sonny Jim's face is posed in the exact same way as Laura's senior picture and how she was facing when her body was found, two images that have been overlapped in promos. I really doubt this is a coincidence, and I can't think of any other reason why fugue-state Cooper would have started crying when he saw this. hmmmm, interesting theory. I'm not seeing it though. Just looking at the side by side pictures you posted - Laura is smiling, Sonny Jim isn't - His eyes are open, hers are closed - their heads aren't at the same angle. We can find connections and patterns in almost anything - and of course in LynchLand we can never be positive if what we glimpse here and there is intentional or not. That's why your post is at the very least interesting! I didn't think of Laura, but was immediately reminded of the old man in the hotel who called Cooper Sunny Jim and kept giving him the thumbs up. Both he and the son are sort of guardian angels and positive encouragement for Cooper, both were doing the blinking, and I've wondered if the boy IS the old man. Both have an innocent, sweet kind of giggle and show an unconditional compassion for Cooper, and both also are seen with the deeply sad expression. I'm going to keep watching for more connections between the two - and Laura, since others are connecting her to the little boy.